As a young girl, Andrea J. Ramsay had a dream and desire to become a special kind of Doctor. Growing up in Miami, Florida, second oldest of 5 children she worked diligently to attend the University of Florida and St. George’s University School of Medicine and earn her Doctorate of Medicine. Dr. Ramsay gained broad educational experience with Rotations in Newark, NJ, Wards Island, NY, Morristown, NJ and Brooklyn, NY. As Dr. Ramsay was deciding her specialty she pursued training in Surgery, Emergency Medicine, Obstetrics and Gynecology, and Plastic Surgery. Family Medicine became her true calling. After spending a year in Buffalo, NY for Family Medicine Internship, she came back home to complete her residency at the University of Miami. The Jackson Memorial experience gave her the comfort to fluently speak medical Spanish. After completing her Residency, she signed on in Pembroke Pine’s reputable multi-purpose practice. Ramsay practiced Family Medicine as well as Medical Research. This is where she focused on management of chronic, medical illnesses, health prevention, minor surgical procedures, cosmetics and rejuvenation with Botox & Fillers, hormone replacement as well as weight loss and smoking cessation programs. #2. Live a Healthy and Spiritual Life. Don’t just talk the talk but walk the walk. 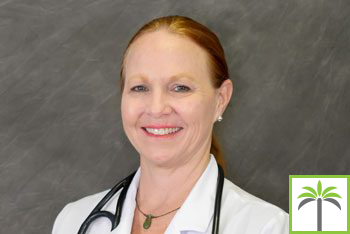 Dr. Andrea J. Ramsay is board certified in Family Medicine and has 14+ years of experience. She continues training in Integrative Medicine including Ayurvedic Healing, Nutrition and Guided Visualization/Hypnotherapy.